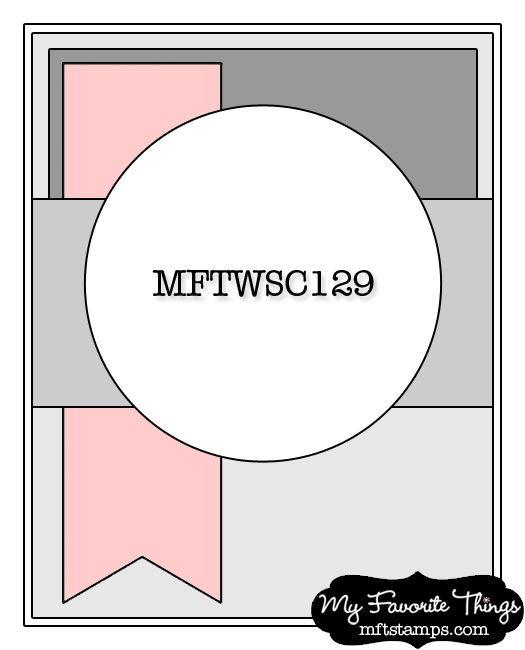 I just got my order from MFT Stamps yesterday and I couldn't wait to start getting my stamps inky. And then the challenge sketch showed up in my mailbox...and well, here's my card. 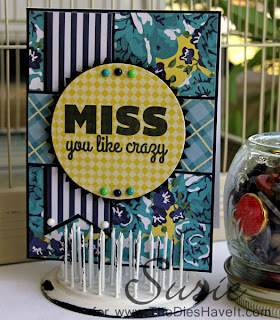 I used the triple scoop stamp set from the June release for my sentiment. I love their inks too. SOOOOO juicy and great coverage. My papers are from the My Mind's Eye Oxford Lane 6x6 paper pack. By being careful with my cuts, I just used two pieces of the patterned papers. Double sided papers are the bomb!! 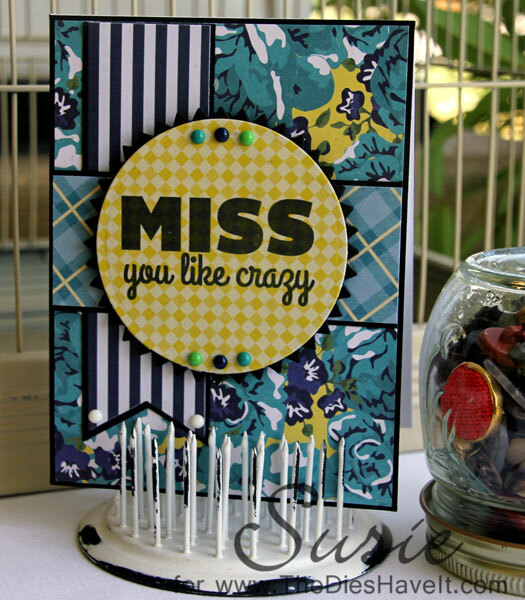 I used some little enamel dots from the same collection to finish off my card and now it is time to submit it for this week's sketch challenge. Oh - and here's the sketch. You should play along too!